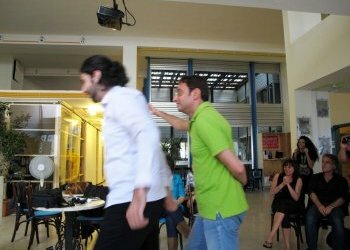 After first experiments of Media Labs, in Cairo, Nantes, in Marseilles in 2011, in Cairo in June 2012, ZINC and SHAMS/ICARE organized with AltCity in the frame of RAMI 3.0, in partnership with Karaj, a time Media lab in Beirut from 22 to 27 October 2012. 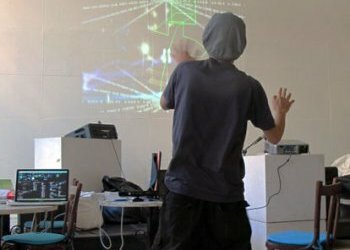 For this occasion, both artists and developers, Mohamed Youssef and Naoyuki Tanaka, aka NAO, who have already participated and facilitated the previous medialab, offer to artists, videographers or others who already have been introduced to programming, to join this Media Lab to work with the Kinect tool for art work, performing or installation. 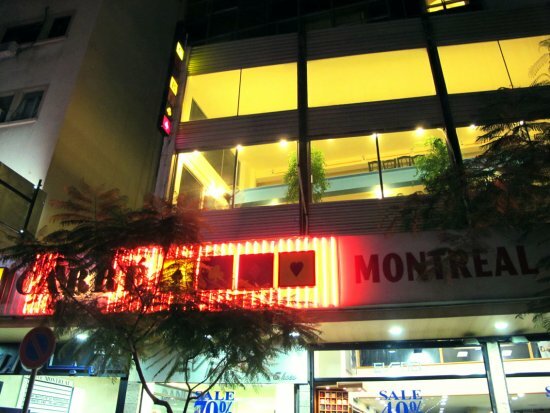 The Lab took place at AltCity in Hamra, from 17h to 21h from Monday 22 to Friday 26, Saturday 27 October 2012 all day. Participants were present throughout the period of the Lab. 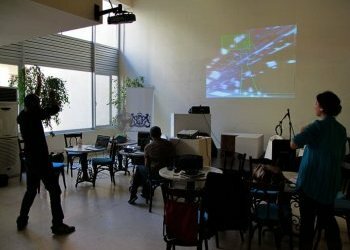 The Media Lab is a group of 6 people with by Nao and Mohamed Youssef: Ayman Nahle, Firas Wazneh, Janine Khawand, Nivine Yakzan. A final meeting has been organized on Saturday 27th October, performance followed by a general discussion with participants and professionals of RAMI 3.O about this experience and the result, as “bodying” interactive process. 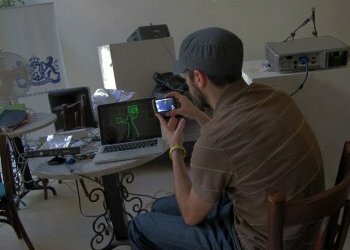 Lab opens new ideas for artistic performances connecting music, sound, images and mouvement. 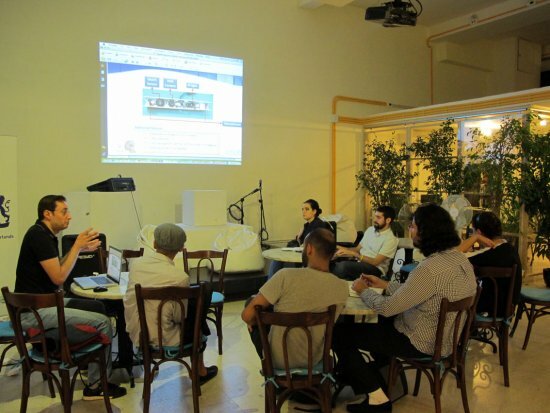 The collaborative work inside the Lab has been appreciated as an important point of the media lab Rami 3.0 process.